I have tried something new. I have normally written slower songs but this time I wanted to write something a little faster. Those boys can really play! The vocals are: my daughter Lauren, my music minister Paul & me. Steve, excellent song! It reminds me of an old Statler Brothers record - great stuff! WOW, I really like that!!! I really liked the song. Great vocals and excellent writing. The song had nice flow and had my foot tapping! Good work. Took me right back to the old camp meeting dinner on the ground days of my childhood. You nailed it. Well done. Thanks for such great comments. I have never written anything in this style before so I really got out of my box on this one. It is really fun singing this style of music. Wow!!! This is a brilliant song. You really have developed expertise in writing, performing and mixing. There's absolutely nothing that I'd change. Like Marty, my foot just wouldn't stop tapping. Well it's all pretty much been said, but I have to agree. Great Job! I really liked the vocals, nice harmony. Bob said it - you've got the Statler Brothers sound. I love the enthusiasm of the singing, and the "bass" line "He is enough" got me laughing each time, because the singer sounds like he's having a great time. 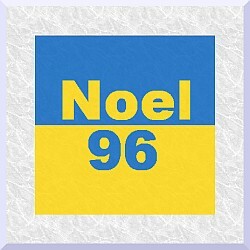 Noel, Greg & Dcuny, thank you guys for listening and for the nice comments. I'm glad you enjoyed it. Paul did the bass line "He is enough". He did not like it and wanted to redo it but I thought it was alright. We may redo it later. You just found a "new" genre to add to your song list. Isn't the software just great that it lets you try out all sorts of new genre styles. You did a very good job with this song. Kudos to all three of you, your daughter Lauren, your music minister Paul and yourself. I will add that I had a big smile on my face during the entire song. Michee, I love the peppiness and harmonies of the Bluegrass genre. However, with my limited instrumental abilities I would have never attempted it. BIAB RealTracks are absolutely amazing! I will relay your comments to the rest of the trio. Mario, I am very pleased it put a smile on your face. I was hoping that everyone would enjoy listening to this song as much as we enjoy singing it. Great work. Super vocals - great composition - superb mix.